A Gold card is usually sold duringÂ Mysore Dasara. This gives you access to all important events during dasara and you can avoid all those long queues. It has been reasonably accepted by the tourists. 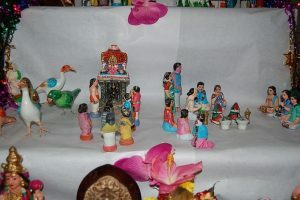 The Dasara doll festival is celebrated through an exhibition of various dolls and figurines arranged as per custom. Know more about Dasara dolls steps. Mysore Dasara is the Nada Habba or state festival of Karnataka.When did people of Mysore start celebrating Dasara? 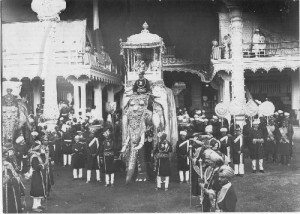 What is the story behind Mysore Dasara? 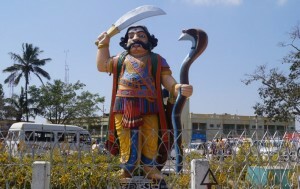 Are you planning to visit Mysore during Dasara? Take a walk through the heritage site. Read on to know more about Mysore Dasara walking tour. Chamundi hills, is a must visit when in Mysore, Goddess Chamundeshwari temple, Nandi, Mahishasura statue are the important deities on the hill.